Note: The content for Vol. 2, No. 2 (2006) will be released as soon as the issue becomes available to JSTOR. As of March 30, 2010, JSTOR ceased adding additional content for the Journal of Field Archaeology. The journal was acquired by Maney Publishing, which is not a JSTOR participating publisher. Publisher: Boston University, for the volumes held in JSTOR. Publisher from 2010 forward is Maney Publishing. Note: Coverage for this title ends with Volume 31, 2006. No further volumes will be added to JSTOR. Current participants in the Arts & Sciences II collection will continue to have access to the archived back run of the Journal of Field Archaeology, with coverage ending with Volume 31 (2006). This includes participants in the Public Library Collection I, as well as Secondary Schools, Museums, and African Access Initiative and Developing Nations Access Initiative participants. As of March 30, 2010, JSTOR no longer provides access to the Journal of Field Archaeology for new participants in these collections and programs. Please be assured that no content will be removed from the archive. JSTOR will continue to preserve the Journal of Field Archaeology volumes from 1974 to 2006. Persistent links to articles in the journal from online resources and web pages will be supported indefinitely. JSTOR will continue to preserve the Journal of Field Archaeology content under its care and will migrate the content to new technologies, and institutions can rely on its ongoing preservation, access, and use over time. Ancient World Journals in "British Periodicals"
The Ancient World is covers in the following journals in the collection. These are not open access journals. ...The Friedberg Genizah Project (FGP) was established to facilitate and rejuvenate Genizah research. It is achieving this goal by locating the Genizah manuscripts and then identifying, cataloging, transcribing, translating, rendering them into digital format (i.e., photographing) and publishing them online. FGP is operating in a joint venture with the Jewish Manuscript Preservation Society of Toronto, Canada. The high-resolution digital images of the manuscripts (600 DPI, or dots per inch, the standard set by the Research Libraries International Organization) are, in a certain sense, "better" than the original manuscript because they can be visually enhanced by computer-generated viewing tools and can be accessed from any computer with internet access at the FGP's online research platform. ...In May 2008, FGP released a fully-operational version of its online research platform, where it is now possible to view over 100,000 digitized images of Genizah manuscripts. In October 2009 The Friedberg Genizah Project entered into a joint venture agreement with the Jewish Manuscript Preservation Society of Toronto, Canada. The following message was distributed by email this morning to members of the APA and is reproduced here with permission (hyperlinks added). Internet (APh Online) now has a new and more powerful user interface. PDF File, RIS Format, and RefWorks. sorting options, number of results per page, and e-mail address. in an APh record such as a full-text article in JStor. for ancient texts what is already possible for modern ones. Prof.
project and a prototype can be found at cwkb.org. about this initiative by the end of my Presidency this Winter. transformed into an up-to-date, web-based resource for the 21st century. either online or by mail. KOSMOS will address the issues of jewellery, costumes, aesthetics, body adornment, colours, dyes and pigments, textile production, luxury and exotics, gender and femininity/masculinity, as well as their social, religious, ideological, economic, technological, administrative and philological connections. The Conference is being organized by the Danish National Research Foundation's Centre for Textile Research (CTR), University of Copenhagen, and by the University of Liège. The proceedings of the conference will be published in Aegaeum. Annales d'archéologie égéenne de l'Université de Liège. The 13th Kosmos conference will take place mainly online, as most of the participants are unable to make it to Copenhagen because of the volcano. Hear the message from Marie-Louise and Robert about the new format for the conference. During the Kosmos conference you can chat with the other participants and presenters around the world. The chatwindow is located below the Kosmos livestream (on the same page), or you can open the chat in a separate chat window and have the two windows side-by-side for a better overview. The Society of Architectural Historians has launched JSAH online, the new multimedia edition of its acclaimed journal, JSAH. Click here to see a sample article from the new online journal. For access to the full multimedia issue and JSAH 1941-2010, join SAH today. Developed in partnership with University of California Press and JSTOR, JSAH online has been under development for more than two years and has been made possible by two grants from The Andrew W. Mellon Foundation. SAH is indebted to JSAH Editor, David Brownlee, and JSAH Online Founding Editor, Hilary Ballon, for their expert development of this innovative journal that pairs scholarly text with film, video, 3D models overlayed on Google Earth maps, sound, QTVR panoramic photographs, and zoomable images. An article in Inside Higher Ed calls the innovative new architecture publication, "Online Journal 2.0"
It is also mentioned in the The Art History Newsletter. Vol. 69, No. 1, March 2010, pp. 62-87 . I haven't yet deciphered the delivery options. It looks as though the version at CALIBER does not include the digital enhancement, and JSTOR is still maintaining a three year moving wall. Aside from the single open access article, the remaining content at http://jsah.ucpress.jstor.org/loi/jsah appears to be available exclusively to members of the Society of Architectural Historians. This collection has been compiled to mark the publication of the 25th volume of Geoarchaeology. 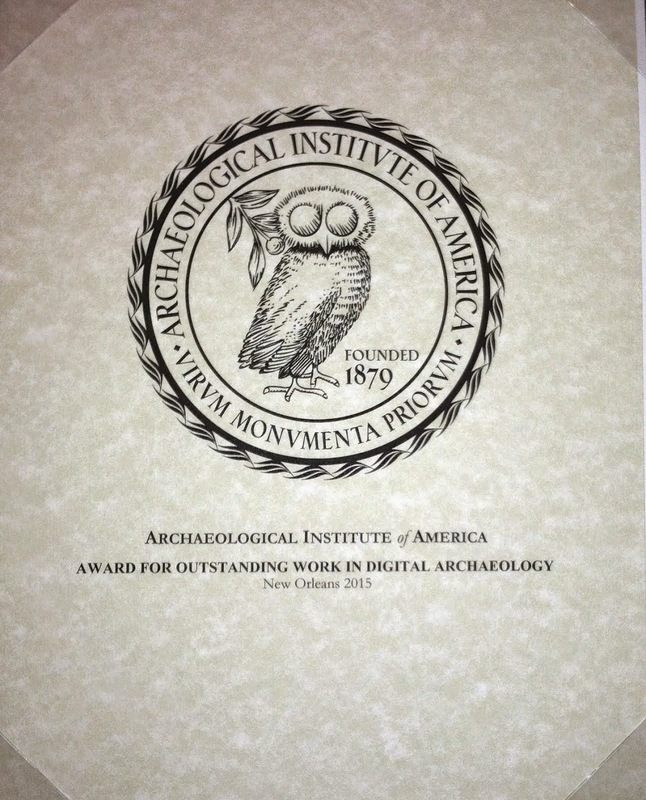 It was launched in St Louis on April 15th 2010 at the 75th Annual Meeting of the Society for American Archaeology. The broad aim was to produce a Virtual Special Issue of 25 papers to showcase some of the most important and influential papers that have been published in the journal over the last 25 years. At the same time, a key objective was to ensure that, as far as possible, the collection covered all areas of geoarchaeology and was broadly representative of the journal's history. We have combined qualitative and quantitative data to assemble this Virtual Issue by canvassing all of the journal's Associate Editors (inviting them to identify the most influential papers in their respective fields), and by using citation data (as one measure of impact in the wider academy) to fine tune the list. The selected papers are listed in chronological order and present a diversity of theories, models, approaches, and empirical datasets derived from research across six continents. We anticipate that this Virtual Issue will be of use to both students and researchers, and we hope it will generate debate. It is a fitting way to celebrate the 25th anniversary of Geoarchaeology: An International Journal. William R. Dickinson, David V. Burley, Richard Shutler Jr. The effects of temporal and spatial patterns of Holocene erosion and alluviation on the archaeological record of the Central and Eastern Great Plains, U.S.A. This established and essential component of the academic research library is now easily accessible online for the first time. This diverse, up to date and authoritative collection is unique to Cambridge Histories Online and offers vastly improved accessibility to the print editions published since the 1960s. Available as an institutional one time only purchase, it allows unlimited concurrent users, meaning anyone who wants to may access the resource 24 hours a day. Cambridge Histories Online is also a dynamic resource, being continually updated with new volumes taken from the print series as soon as they become available. Introduction to the Double Issue on Philoxenos of Mabbug. New Evidence on the Philoxenian Version of the New Testament and Nicene Creed. La Vierge Mère de Dieu dans la pensée de Philoxène de Mabboug. The Lust of the Belly is the Beginning of All Sin. Practical Theology of Asceticism in the Discourses of Philoxenos of Mabbug. Philoxène de Mabboug. Homélies. Introduction, traduction et notes par Eugène Lemoine. Report on SBL 2009 Annual Meeting: International Syriac Language Project sessions. The Letter of Mara Bar Serapion in Context, Utrecht University, 10–12 December 2009. J.W. Childers and D.C. Parker, Transmission and Reception: New Testament Text-critical and Exegetical Studies. Christine Shephardson, Anti-Judaism and Christian Orthodoxy. Ephrem’s Hymns in Fourth-Century Syria. W.Th. van Peursen, Language and Interpretation in the Syriac Text of Ben Sira: A Comparative Linguistic and Literary Study. Recent Books on Syriac Topics. Annotated Bibliography of Syriac Studies in Russian, 2009. La Société Française d’Histoire Urbaine a tenu son assemblée constitutive le 21 novembre 1998. Cette société est une association (loi 1901) dont les statuts sont déposés à la préfecture de Paris. Elle a pour vocation de rassembler tous ceux qui abordent le fait urbain dans son historicité. Elle se définit par conséquent moins par un ancrage disciplinaire que par des pratiques scientifiques communes. Elle a pour objectif de favoriser les échanges et les débats entre ses membres et de promouvoir la connaissance et la diffusion de l’Histoire urbaine. Valérie (D)Huet La représentation de la rixe de l'amphithéâtre de Pompéi : une préfiguration de l'« hooliganisme » ? At opendig.org we are endeavoring to offer a place for any archaeological excavation to host their dig notes online. Imagine a place where you can search not only your own site for information, but also sites in the same region, same time period, or just limit it to two or three neighboring sites. This is what we hope to create, but this can only happen with your participation. If you’d like to come on board and host your notes here or if you already have an online database setup, please let us know so we can link to it, and if you have it setup with a RESTful XML resource, then we’ll go ahead and add it to our search capabilities. opendig.org grew out of the project that was created to get Tall al-’Umayri’s dig database online. The idea came to me that it would be a good place to offer room for other projects’ databases if they were interested. The team would love to see this list grow in the near future!